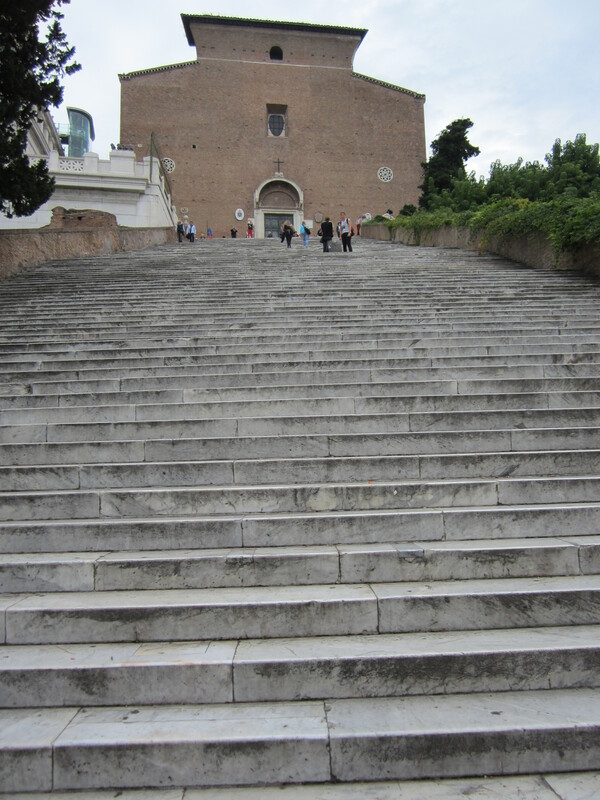 Basilica of Santa Maria Ara Coeli, a church we celebrated Mass at, is located on the Capitoline Hill. According to tradition, the Blessed Virgin Mary holding the Christ Child appeared to Augustus Caesar on Capitoline Hill. The vision of the Blessed Mother with the Christ Child corresponded to a message Augustus Caesar received from the oracle of the Tiburtine Sybil that a Hebrew Child would silence the oracles of the Roman Gods. Augustus Caesar build on the site of vision an altar in honor of the child. 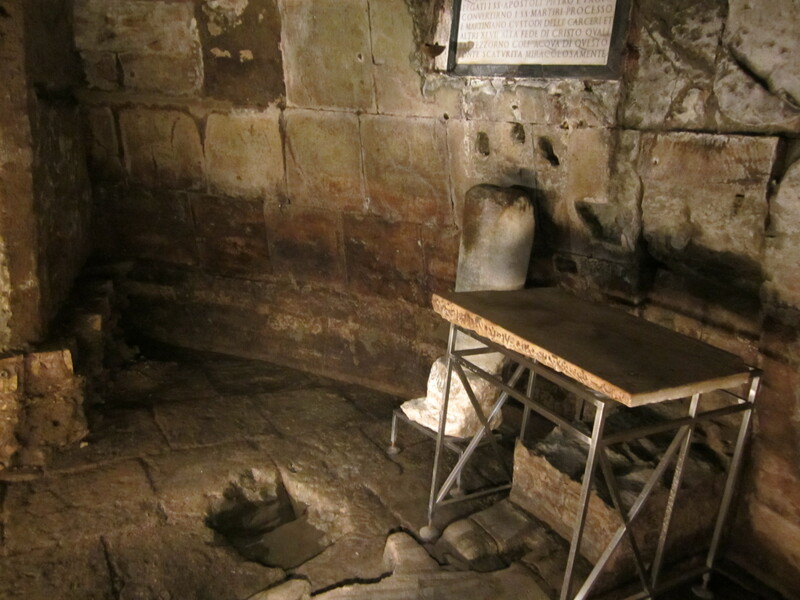 The altar was named, “Altar of the Firstborn of God” (Ara Primogeniti Dei). 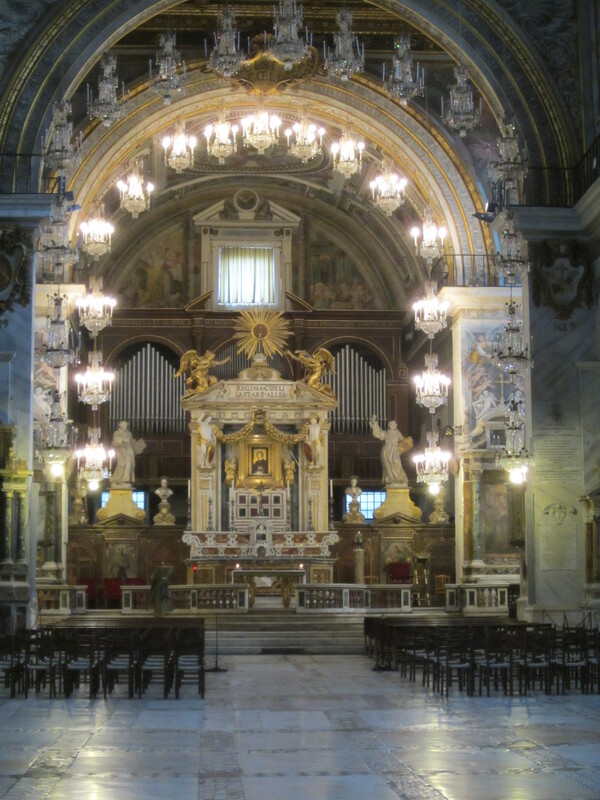 Constantine replaced the altar of August Caesar with the Basilica Church of Santa Maria Ara Coeli (Basilica of Saint Mary of the Altar of Heaven). 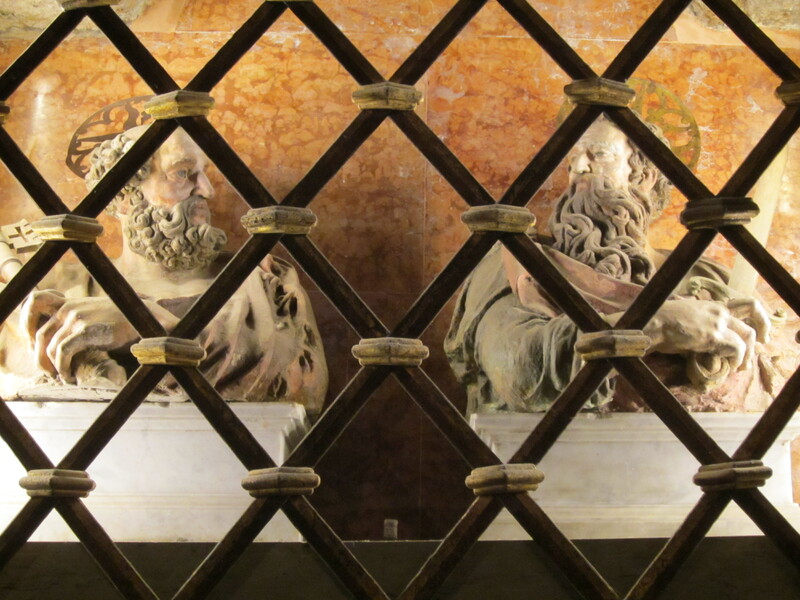 We also visited the Mamertine Prison were Saints Peter and Paul were held before being martyred. Their cell was a small cavern hewed in the rock, the cavern was about six feet tall and ten feet in diameter and contained a pillar that they were chained to. The entrance to the cell was a four feet diameter hole in the ceiling. Prisoners were lowered by rope or thrown through this hole in the cell; the drop from the floor above to the floor of the cell was about twenty feet. The cell also contained a small spring of water. According to tradition, Saint Peter baptized fellow prisoners and many of their guards with the waters of that small spring. 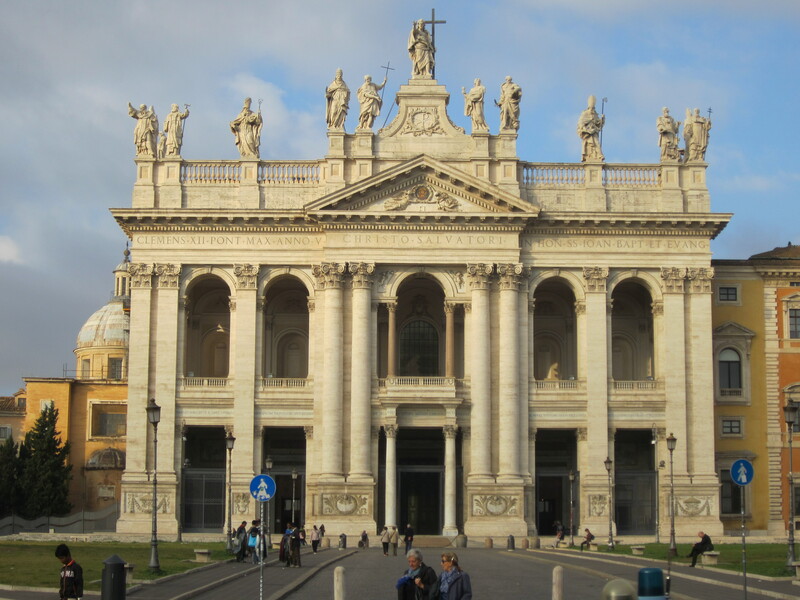 The Basilica of Saint John Lateran (the Cathedral Church of Rome) is named after the Lateran family who owned the land and Saints John the Evangelist and John the Baptist. 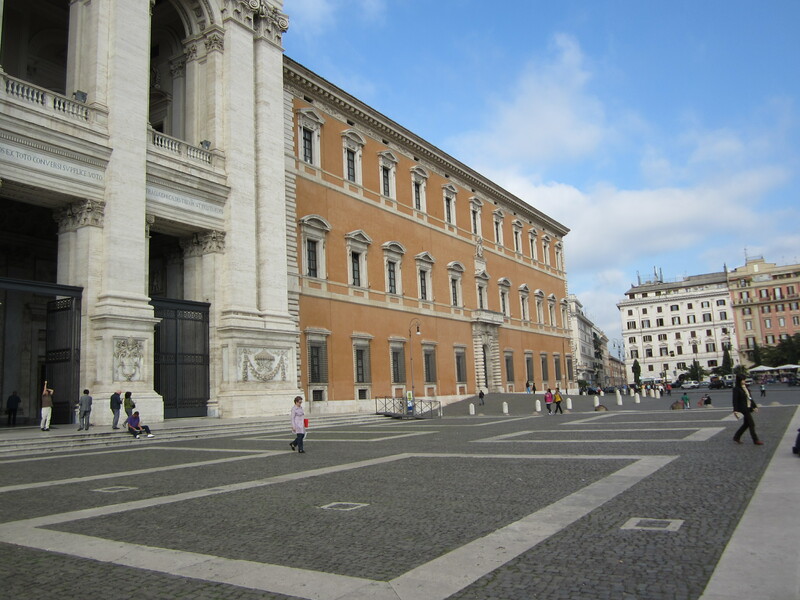 The Basilica abuts the Lateran Palace, the official residence of the Pope from about 400 to about 1400. The Palace is now the residence of the Cardinal Vicar of Rome, who administers for the Pope the daily activities of Diocese of Rome. A few blocks down the street from the Basilica of Saint John Lateran is Santa Croce, a beautiful church containing many relics from the passion of Jesus Christ. 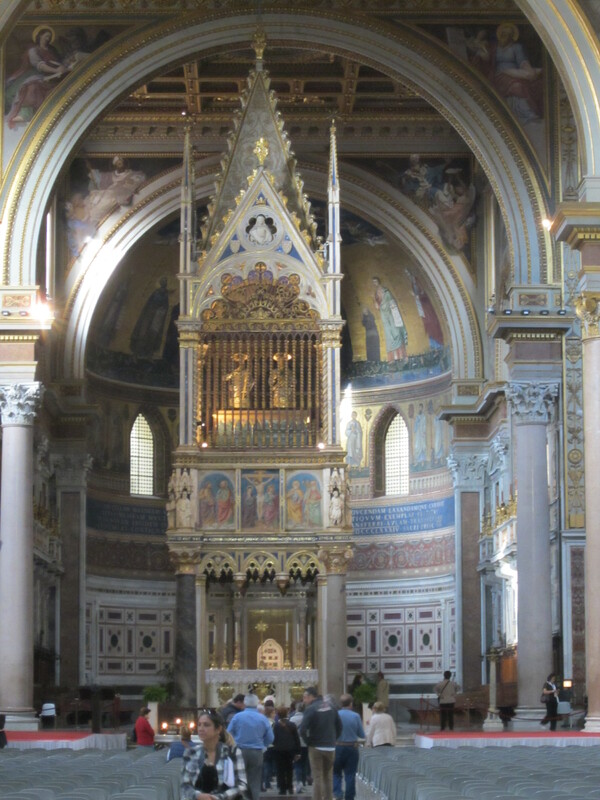 This entry was posted in Essays, Pilgrimage and tagged Altar of the Firstborn of God, Ara Primogeniti Dei, Augustus Caesar, Basilica of Saint John Lateran, Basilica of Saint Mary of the Altar of Heaven, Basilica of Santa Maria Ara Coeli, Blessed Virgin Mary, Blessed Virgin Mary holding the Christ Child, Capitoline Hill, Cardinal Vicar of Rome, Cathedral Church of Rome, Catholic, Catholicism, Christian., Christianity, Lateran Palace, Mamertine Prison, Rome Pilgrimage, Saint John the Baptist, Saint John the Evangelist, Saints Peter and Paul, Santa Croce, St. Paul, St. Peter, Tiburtine Sybil. Bookmark the permalink. The Marmertine prison proved to be a poignant visit for me. It was eerie to be standing in a place where once these two great saints also stood. I agree. It is nice to feel the communion of Saints so powerfully.